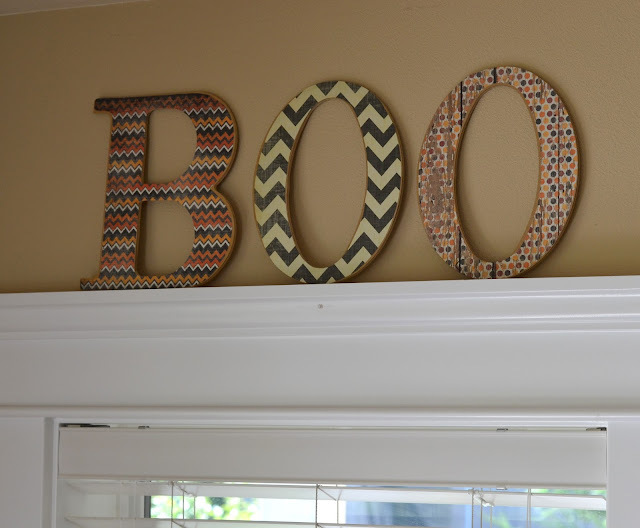 I love a quick craft that doesn't cost me a whole lot of money. Those are my favorite! Mostly because it gives me a chance to have a little creative outlet without breaking the bank on supplies. I'm sure you have seen this little image making it's way around the craft circles. It is so true though! 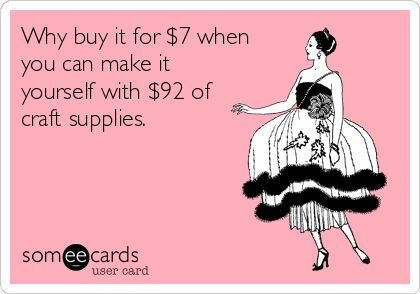 That said, I try to keep my craft costs low by buying most of my supplies at garage sales and with coupons at the craft store. Because we all know that we could spend a pretty penny buying supplies! I was lucky enough to find some unfinished letters that spelled Boo at a garage sale. I'm guessing the gal had the same idea as I did, but never got around to it. 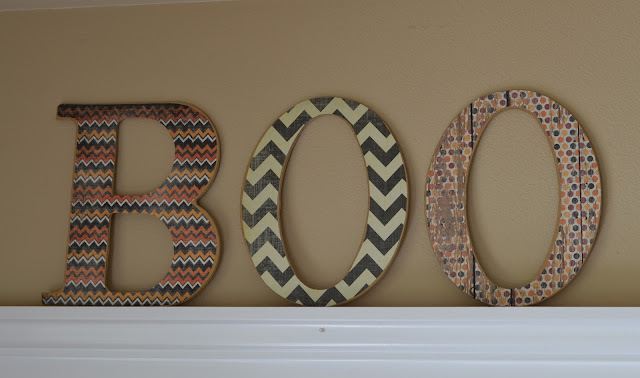 It took me 10 minutes, some scrapbook paper and some mod podge to create a fun little addition to my Halloween decor that's already around the house. I gathered my supplies and headed outside to snap some miserable pictures for this tutorial. Seriously, what the heck?! That ship has sailed to re photograph them, so bear with me! The rest of this tutorial is going to fly by because it's super duper easy! I traced the backwards version of the letters in pencil on the back of my paper and carefully cut around it. 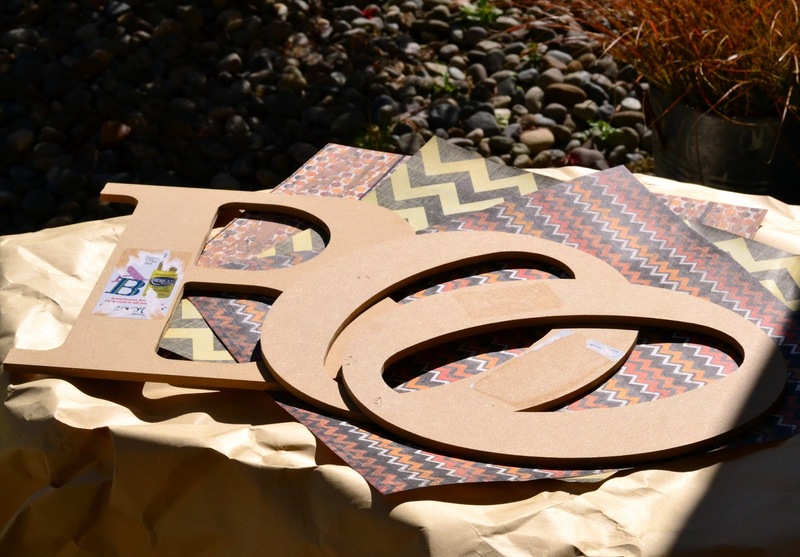 Paint your mod podge on the unfinished letter and then lay your cut paper on top of the letter. Seal your paper with another layer of mod podge on top. That's it! It takes longer to let the letters dry than it does to actually make them. You can embellish your letters with glitter or ribbon or bows. You could even hang them on a large frame vertically. That would be really cool. I stuck with the minimalist approach and left them as is. $2 in supplies and 10 minutes later, I have a quick project that helped me feel just a little bit accomplished. Do you ever buy craft supplies at garage sales? If so, what do you look for? 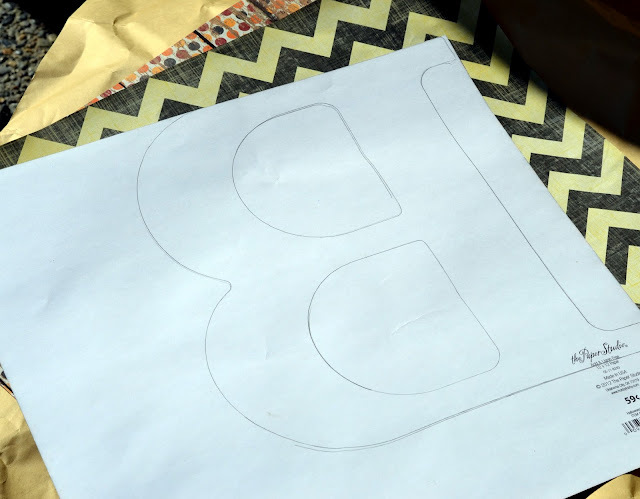 How to cut heat transfer vinyl like a pro!